William Hill Poker is an old name in the poker community, their poker games have been around for a number of years and their name is synonymous with trust throughout the online poker industry. It offers its players fully regulated online poker, backed up by the fact that it is listed on the London Stock Exchange. It is a prominent sports betting site, and is loved by European players. It is also one of the best performing sites in the iPoker Network. William Hill Poker offers a solid online poker experience with a wide range of games such as Omaha and Texas Hold’em. 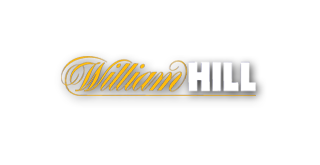 For players who love poker Tournaments, William Hill Poker is an industry leader. Their tournaments guarantee players over €5 million weekly and they also offer buy-ins that are affordable to high rollers and beginners alike. They also host tournaments that have jackpot prizes attached to them. William Hill’s promotions include a healthy welcome package that offers you the opportunity to win large prizes quickly. They also have a Player’s Club that rewards their most frequent players with the opportunity to redeem points for cash and tournament tokens. The software used at William Hill Poker provides its players with the standard functionality that is the industry standard across the iPoker network. Recent upgrades have allowed William Hill to offer quick seat options for cash games, auto-top up for cash and hand-for-hand play, and new tournament rewards to its poker client. William Hill Poker’s skin is middle of the road, with modern and entertaining graphics and interface. William Hill Poker is offering a £110 First Deposit Bonus. The bonus consists out of a £7 Cash Game Ticket, £3 Tournament Tickets, £100 Bonus Money and 10 Free Spins. You can receive up to 30% Rakeback while playing at William Hill. While playing at the virtual tables you earn WH Points that you can exchange for cash bonuses or tournament tickets at anytime. Texas Hold ‘em and Omaha Poker games are the most popular games at William Hill Poker. There are regular promotions and tournaments available for these games. William Hill cash games have buy-ins from as little as €5/€10. They also have high-roller tournaments with buy-ins up to $530. For players looking to max out their hands per hour, their Speed Poker is fun and face paced. The Speed Poker table deals you a new hand every time you fold. Users can exceed 100 hands per hour with Speed Poker, increasing your earnings per hour. They also offer great promotions for new players available throughout the year. Welcome events offer a chance for new players to learn the games and play against people of their level. Weekly Rookie races where new players are encouraged to join have prizes going up to €500. The daily freerolls help pay tournament tokens into William Hill poker series events meaning that you can earn large sums put up by the house. There are guarantees ranging from €25 to €1,000. William Hill’s Twister Sit and Go events are a great opportunity for those who want to win big, they allow players to play for up to 1,000 times the buy-in. William Hill Poker customer support is quick to resolve any discrepancies. 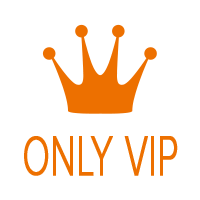 They are available 24/7 and also have a comprehensive FAQ section. They can be contacted by phone calls, fax, emails and an online chat support system. There are plenty of methods you can use to cash in and cash out your funds at William Hill Poker. 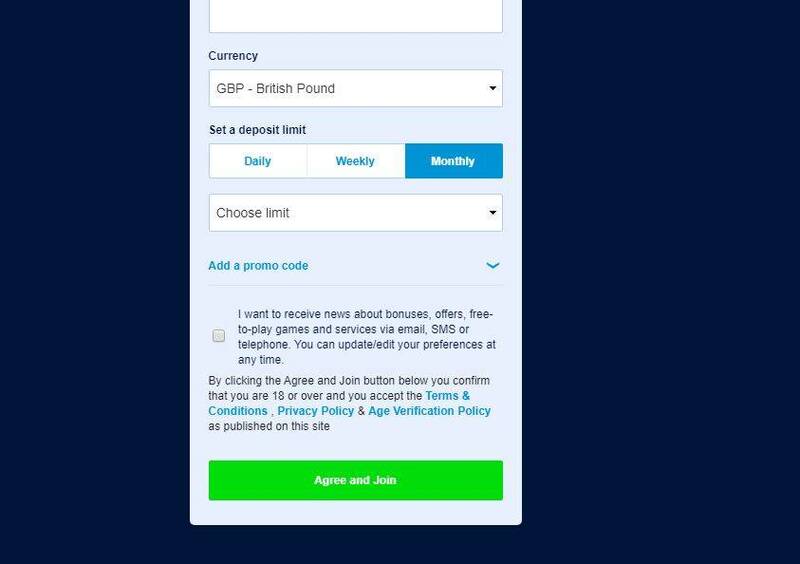 Not able to open a new account because of your country location? Already have an existing account but would like to receive extra rakeback? Don’t worry, we can help you. Just contact our Support Team by email (info@yourpokerdream.net) or Skype (vip-yourpokerdream for Deutsch/English, yourpokerdream-ru for Russian) for support 24/7. 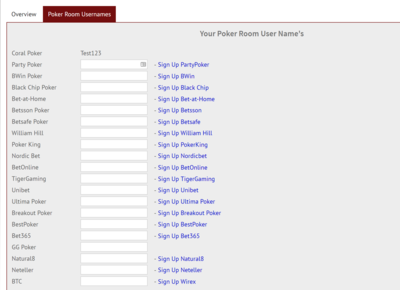 How i sign up correctly via YourPokerDream at William Hill Poker? Step3: The register window is opening. Just follow the steps and press at the end then “agree and join”. 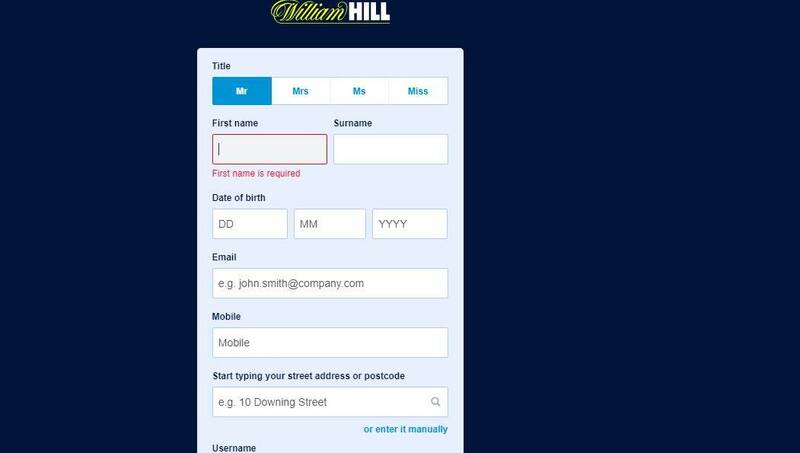 Step4: After you’ve successfully signed up for William Hill Poker, all you have to do is log in to your YourPokerDream account and enter the username which you have chosen at William Hill and press “save changes”. From this point on, everything will run automatically and you can use all exclusive offers from YourPokerDream in addition to the normal offers of William Hill Poker.